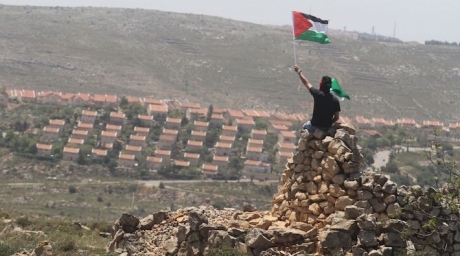 Documents obtained by Peace Now indicate that the Ministry of Housing (MOH) has plans to construct 53,548 residential units in illegal settlements. The plans are valued at over 330 million shackles. 3,786 units are slated for immediate construction, 64%, of which are to be east of the separation barrier. These plans also include 8,372 units in the E-1 area, an area on Jerusalem’s periphery. Plans for settlement construction in the E-1 area have long been halted due to international pressure. Settlement construction in the E-1 area would require the forced displacement of over 2,000 Bedouins and rule out the possibility of a geographically contiguous Palestinian state by severing the West Bank into two. The MOH has its sights on other areas of Jerusalem too: Peace Now revealed plans for a new neighborhood in Atarot, involving the construction of 10,000 units between Beit Hanina and Ramallah. Har Homa is planned also to expand by 2,000 units. In the Old City, the MOH intends to add 21 units in the Muslim Quarter of the Old City. In addition to expansion, the MOH is plotting the construction of two brand new settlements in the West Bank – Givat Eitam (in a-Nahla, south of Bethlehem) and Bitronot/Brosh (in the northern Jordan Valley). The MOH also seeks to recognize at least six settlement outposts, which, as of now, are even unrecognized by the Israeli government. These plans directly contradict Israeli officials’ statements regarding settlement construction. 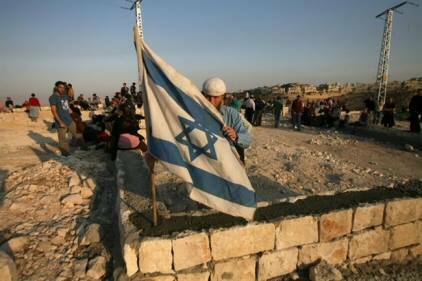 In October 2013, Israeli Prime Minister Benjamin Netanyahu canceled the MOH’s plans to construct 24,000 units in the West Bank, including the E-1 area, in response to international scrutiny. Peace Now found that in November 2014, the MOH, without any notice, hired architects to work on many of the cancelled plans. Peace Now’s report also shed light on the MOH’s activities in past years. Between 2012 and 2015, Peace Now found that the MOH funded the construction of at least 4,054 housing units, 70% of which were east of the separation barrier. One expansion projects was for the Beit Romano settlement, which sits in the heart of Hebron. Peace Now reported that the MOH gave it 1 million NIS to expand. Moreover, the MOH gave at least 1.8 million NIS in recent years to local settlement authorities to entice Israelis to relocate to settlements. Revelations about Israeli authorities’ intentions for settlement construction come as the Israeli government continues to confiscate Palestinian land. On Tuesday, Israeli authorities issued a military order to confiscate 500 dunams (500,000 square meters) of Palestinian land located south of Nablus. That same day, Israeli authorities issued another military order to confiscate 370 square meters of private Palestinian land along the Hebron-Jerusalem road. Israel’s Ministry of Housing has been working on plans for thousands of housing units in the controversial E1 corridor, despite the cancellation of tenders for the units in 2013, a settlement watchdog reported. 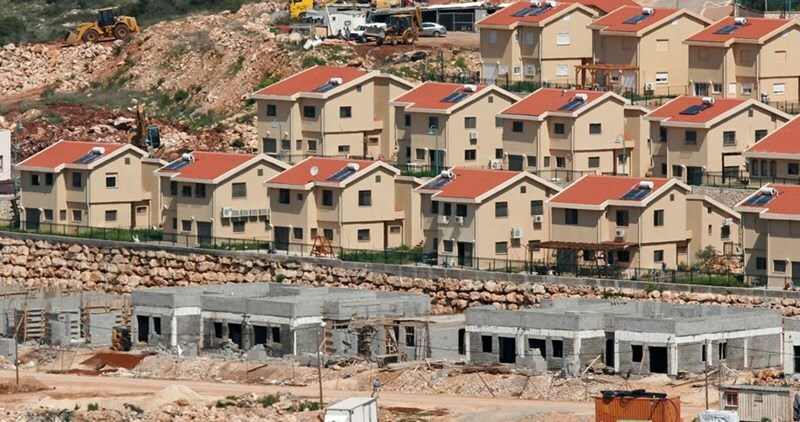 Israeli watchdog Peace Now reported Sunday, according to Ma'an, that the Ministry of Housing began “quietly” planning for 8372 housing units in the E1 area in November 2014, hiring architects to work on many of the plans that had been cancelled. 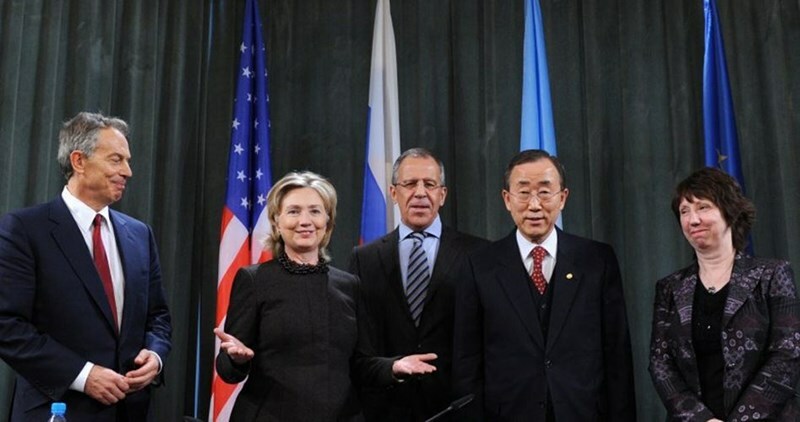 “Behind the scenes they are secretly planning the establishment of a binational state,” he continued. In a meeting with US President Barack Obama last month, Israeli Prime Minister Netanyahu said that settlements were “not a core issue” in conflict between Israelis and Palestinians. 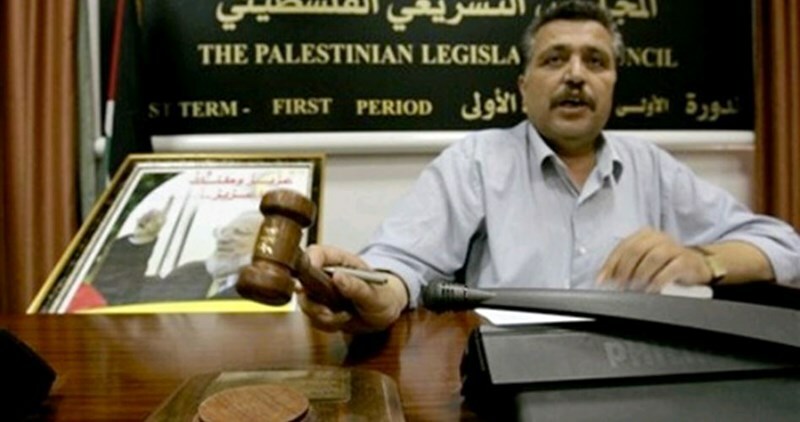 Second deputy speaker of the Palestinian Legislative Council (PLC) Hasan Khreisheh has warned that the Palestinian Authority's intention to hold secret negotiations with the Israelis would liquidate al-Quds intifada (uprising). "At a time when PA leaders declare there is no possibility for any political solution with the occupation or return to negotiations, they conduct talks under the table and continue to hold meetings with the occupation that persists in killing and executing in cold blood our finest young men and women," Khreisheh stated in press remarks on Sunday. He stressed that such behavior by the PA goes against the climate of the intifada, and reflects a complete disregard for the mass execution of Palestinians. The Hamas official called on the PA leadership to stop underestimating its people's intelligence, affirming that the Palestinian people became fully aware of the impossibly of reaching a political solution with the occupation. "The intifada has brought back the international focus on the Palestinian cause, and there is a need to stop holding meetings with the occupation covertly and overtly, at least in order to maintain our dignity," he underlined. The Hebrew radio revealed on Sunday that the PA had sought recently to engage in secret peace talks with Israel in exchange for working on ending the wave of violence in the occupied territories. The Palestinian Authority (PA) recently proposed holding talks in camera with Israel to table final status issues in exchange for working on ending al-Quds intifada (uprising) in the occupied territories, Israeli sources has revealed. According to the Hebrew radio, the Palestinian proposal aims to end the wave of violence and restart secret peace talks with Israel in return. The radio claimed that PA negotiation chief Saeb Erekat had made the proposal during his meeting last July with Israel's former deputy premier Silvan Shalom at the Jordanian intelligence headquarters in Amman. Three weeks later, Shalom met again with Erekat, but this time at the Egyptian intelligence headquarters in Cairo and told him that Israel was willing to hold such talks but with no prior conditions. Reports have recently been released on an Israeli plan to dismember Palestinian towns and villages by constructing more separation walls in the West Bank. 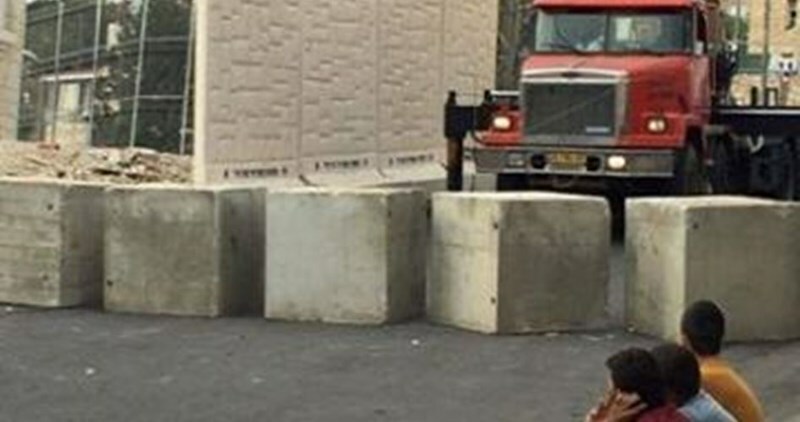 The Israeli Channel 2 said the army is planning to build nine-meter apartheid fences in Beit Ummar, the Arroub, and Gush Etzion areas, along with other areas of the West Bank. According to the same source, the plan is allegedly carried out to prevent hurling stones and Molotov Cocktails on Israeli targets. The Israeli occupation army has tightened grip on Palestinian towns and villages since the outbreak of the Jerusalem Intifada, in early October. A 700-kilometer apartheid wall has been under construction by the Israeli occupation authorities since June 16, 2002 that will eventually tear West Bank towns and villages from limb to limb. The plan also makes part of Israeli intents to hold sway over West Bank areas and force the Palestinians to leave their own homes in favor of illegal settlement expansion. Representatives of the International Quartet Committee are set to meet the Palestinian Authority (PA) leadership in Ramallah on Thursday, in a move dubbed by observers as “an attempt to revive the peace process and stifle the flames of the ongoing anti-occupation Intifada". According to Israel’s public broadcast, the International Quartet delegation, which arrived in the occupied Palestinian territories on Wednesday, met the Israeli Prime Minister, Benjamin Netanyahu over possible ways to boost the peace process and stop the ongoing Jerusalem Uprising. 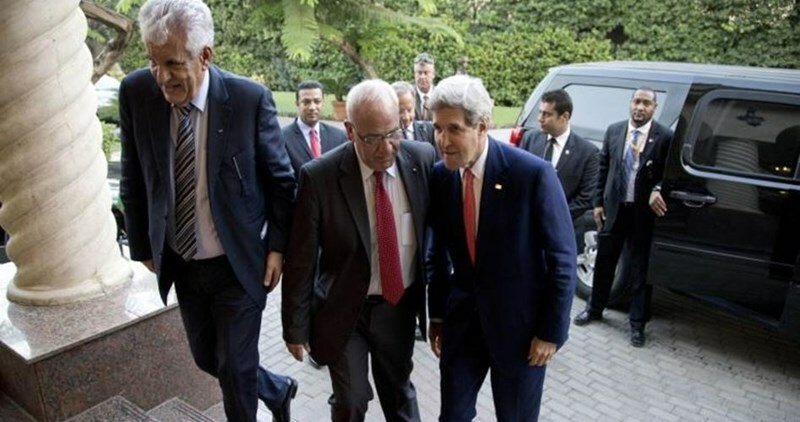 The Quartet delegation is expected to meet the PA leadership in Ramallah, the same source added. Experts in the Palestinian-Israeli affairs branded the move a camouflaged endeavor to prop up peace talks and rein in the anti-occupation uprising. Two projected stopovers to be carried out by the U.S. Secretary of State, John Kerry, in the next couple of months, also fall in line within the same attempts, observers pointed out. For some other experts, such stopovers might rather serve as stimuli for the Jerusalem Uprising by bringing the Palestinian cause to the forefront and drawing the world closer to the inherently anti-colonialist nature of the Palestinian struggle. The Israeli district planning and building committee in Occupied Jerusalem approved a plan on Wednesday to build 891 housing units on the southern side of the holy city. Israel's channel 7 said that the new housing units would be built in Gilo settlement, southeast of Jerusalem, affirming that deliberations on the plan had been frozen ahead of the last visit of Israeli premier Benjamin Netanyahu to Washington. Deputy minister of housing Mickey Levy has blessed the decision to build these units in what he described as Israel's eternal capital and called for continuing construction activities in the city.